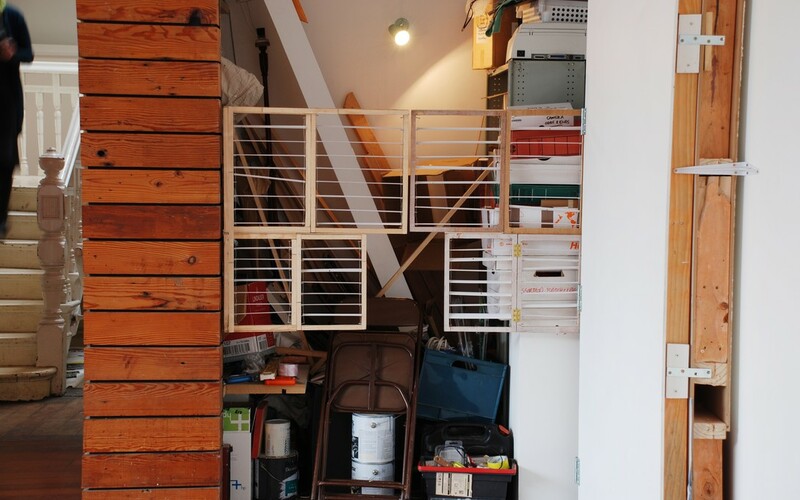 Kannika Ou is interested in the migration of materials and products between their places of production, to their subsequent places of consumption. 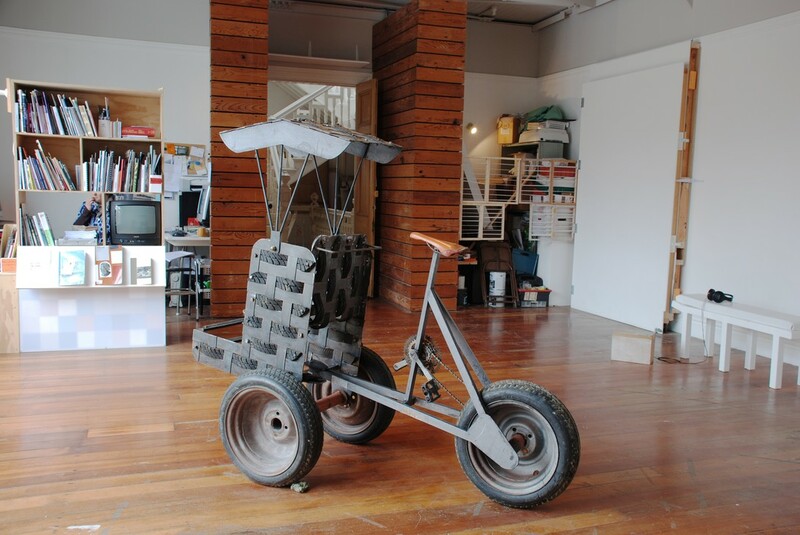 Ou looks for multiple ways in which the concept of recycling can be interpreted through her art making practice. Through exiting and re-entering cycles of production and consumption, used materials are transformed into new products to be re-evaluated by viewers. 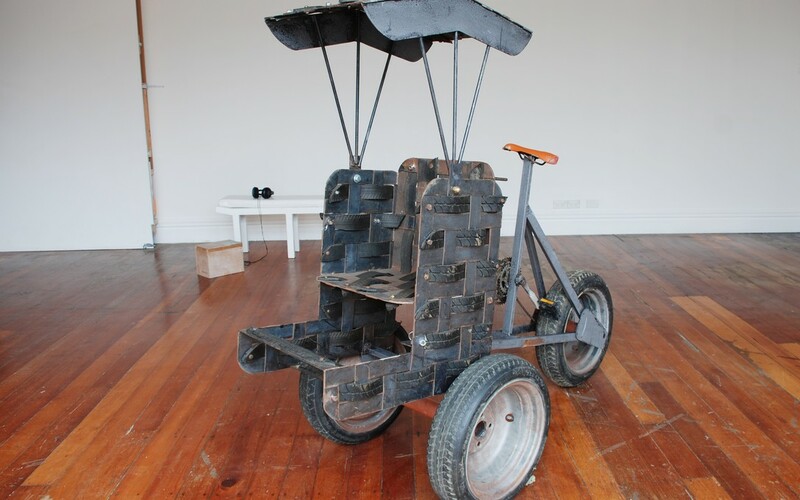 Used tyres have been cut and rewoven with strips of metal to form a rickshaw. Old shoelaces used to make a cargo net in a previous project have been reformed into a super sized dream catcher. And indeed, over time, the viewer can re-encounter the exact same piece of material from one work to the other. Discarded wooden pellets used to build temporary walls in an earlier exhibition and then remade into storage containers in a later exhibition - are again recycled, and are this time fitted within the entry alcove of the Enjoy gallery space. The process of recycling thereby speaks of her continuous collecting and exploration of materials, and about the transformation from one work into another. As a result, the making of one work simultaneously produces the possibility and the sense of constraints of the next work. Finding discarded materials and making them into objects of ones own is equally a personal form of research into how we move between different cultures and environments - rendering a representation of a culture which is a product of the fleeting experiences of travels, objects of consumption and the imagery you are left with upon your return. Through invisible structures of trade and consumption, objects that we take for granted in our daily lives, create a trajectory of migration of materials and people alike. The very process of making is integral to Ou's works. There are numerous processes and elements of layering. There is a rawness of facture; each work is honest about what it is made from and how it has been produced. This honesty is paired with a practical sensibility of re-use; exploring a sense of detachment to the works themselves. Yet this process enables the work to keep evolving and referencing itself, a perpetual return to a fragile and temporary world. It is as if, in the very materiality of the work, the process of its making is laid bare; yet it is not only its physical making that is exposed but also something of the psychic processes of subjectivity: the processes by which we learn to take our place in the world. Kannika Ou, Source Material, 2007. Image courtesy of Jeremy Booth. 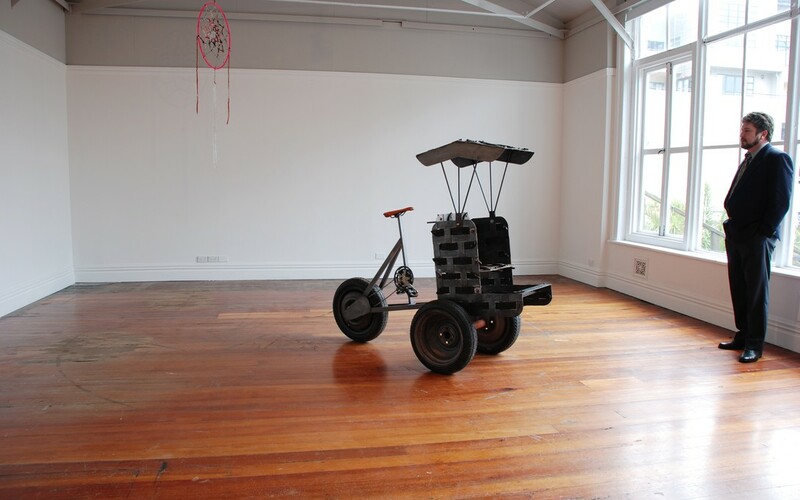 Kannika Ou graduated with a BFA from Otago Polytechnic in 2005 and has recently showed at the Blue Oyster Gallery.